Died May 21, 1946 - Corona Naval Hospital, California, of tuberculosis contracted in the South Pacific. Buried in Arlington National Cemetery. Promoted to Captain posthumously. 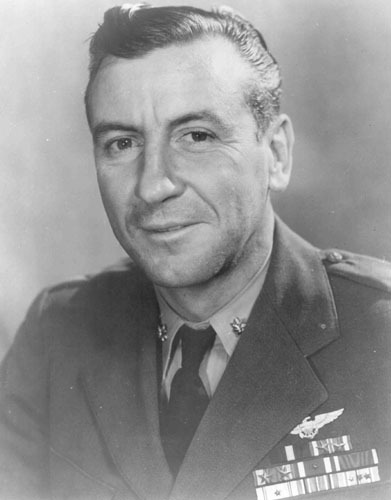 Captain Miller took command of Bombing Squadron 109 in 1943 with the rank of Commander. This squadron consisted of 15 B-24 (PB4Y-1) planes with 57 officers and 148 enlisted men. Between December 31, 1943 and August 16, 1944, his planes sank 20 Japanese ships, probably sunk or damaged 46 other enemy surface craft as well as destroying installations and aircraft on many South Pacific Islands. Some of the islands included Truk, Kwajalein, Puluwat, Saipan and Iwo Jima. including one from Admiral Chester Nimitz, Commander- in-Chief, U.S. Pacific Fleet: "It is enough to say that the enemy will be glad you have left the forward area. Congratulations on an outstanding tour of combat duty. Well done." Commander Miller, Naval Aviator 4050, was decorated more times than any other aviator in the Navy. He was buried with full military honors in Arlington National Cemetery (Section 6, Grave 5015-A.